Welcome to Meet the Teacher – CodeMonkey’s blog segment where teachers from all over the world share their experiences on what it’s like being an educator. 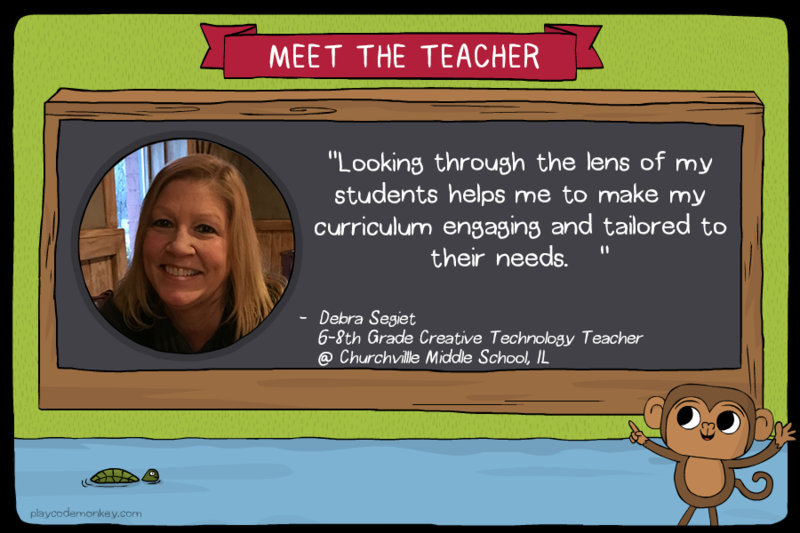 Today’s post features Debra Segiet who is a 6-8th Grade Creative Technology Teacher at Churchville Middle School in Elmhurst, IL. 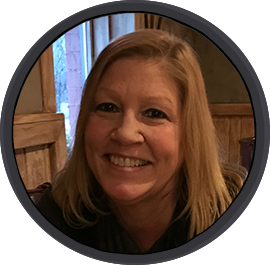 “Prior to becoming a teacher, I worked in the telecommunications industry for 16.5 years. As a manager, I struggled to find qualified programmers with the skills we needed to complete our projects. I decided to go back to school to obtain my Masters Degree in Education. My goal was to inspire young learners in order to grow the field of computer science. Seventeen years later, I still enjoy inspiring today’s youth and fellow educators with my computer science instruction and curriculum as well as presenting at conferences to inspire fellow educators. I am an active member of Twitter and Google plus and both share and utilize resources from other members. I am member of Illinois Computing Educators. As well as an Ozobot certified educator and share my experiences with other educators both in their Facebook group and at conferences. Being connected not only allows me to share my experiences with others, but helps me to continuously learn and grow in my field. This then benefits my students! Looking through the lens of my students helps me to make my curriculum engaging and tailored to their needs. Being a second-career teacher, I can teach them how and what they learn going forward will impact their futures and tie their educational experiences to real-world careers. It’s important to me that my students learn and grow, but do it in a way that is enjoyable, engaging and tied to their learning styles and interests. [My advice for teachers is to] not try to tackle everything at once! Start slow, decide what you can integrate into the things you teach. Think of the SAMR model. Maybe start with substitution at first, and accept that you cannot always live in Redefinition. Be good at what you introduce, learn it yourself before trying it with your students. You don’t have to be an expert with everything, but at least comfortable with it. Rely on your students for help. Be honest with them and remind them that failure is part of learning too. Have a backup plan if the technology does not work. Your students are lucky to have you! That’s a great career path. Your students are lucky to have such an engaged and knowledgeable instructor. I currently work in IT and am considering getting a Masters in Education. Love your story.